Created this new thread so that we dont loose any news from MAKS 17 , Military and Civil Post Photos and have good discussion , Lets have a single thread for MAKS will be good for future reference. Mods can please make this sticky ? ]b]We considered a separate program to stimulate the purchase of the MS-21 aircraft the way, I want to remind you that today is already firm orders number changed from 175 to 205 aircraft This firm order..", - Rogozin told reporters. He noted that the aircraft will be reeling not only in terms of "Aeroflot", which gets 50 cars at once, but more along the line of the two companies - "VIM-Avia" and Red Wings. "(MS-21) is really revolutionary, and like any revolutionary thing it requires very careful attention to all the nuances that are detected as early as practical experimental operation So that just three aviation companies will buy MS-21 -. It is a very correct tactical move ", - said Deputy Prime Minister. Zhukovsky, July 18. / TASS /. Russian Defense Ministry wants to turn of 2020-2022's get air-launched missiles flying at hypersonic. On Tuesday he told reporters Deputy Defense Minister Yuri Borisov. "We appreciate the technological advance in this field and do not see that we are far behind. We are located roughly on par with the leading countries, who work in this field. I will not hide that we are also going to the turn of the years 2020-2022 obtained from the series range of products, primarily aircraft weapons that will operate at hypersonic speeds, "- he said at the MAKS-2017. "In the aviation industry, the KLA [United Aircraft Corporation] there are plans to create different versions of the aircraft means using hypersonic technology, but here it is a question yet more to him We hope to get a weapon..", - said Borisov. Zhukovsky / Moscow region /, July 18. / TASS /. 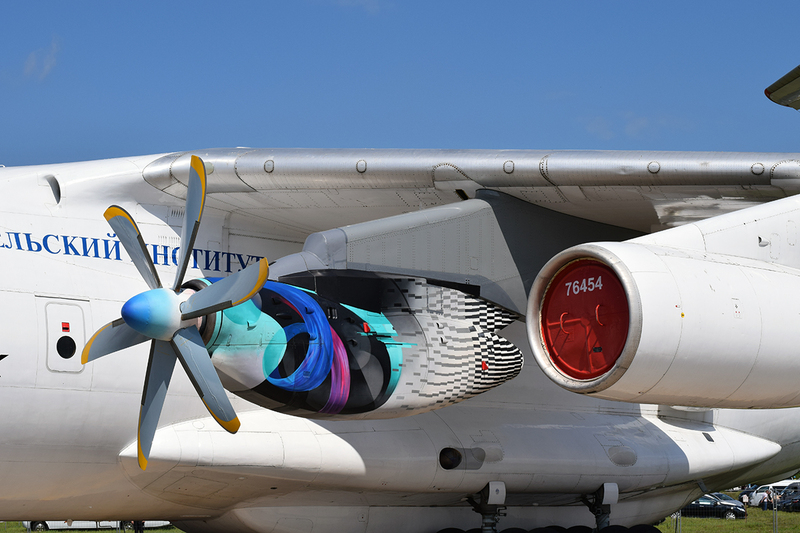 Russian Aircraft Corporation "MiG" is considering options for the fifth-generation aircraft with either one or two engines. This was announced at an international air show MAKS-2017 CEO of RAC "MiG" Ilya Tarasenko. "We are working on both options," - he said, responding to a question. Earlier, Deputy Prime Minister Dmitry Rogozin said the RAC "MiG" will create its combat aircraft of the fifth generation. Now in Russia there is only one combat aircraft of the fifth generation - PAK FA of "Sukhoi". He first flew in 2010 and is expected to soon begin to come into service. In the RAC "MiG" had previously reported that they are considering the possibility of developing more lightweight fifth-generation fighter, the basis for which can be a MiG-35. According to Tarasenko, RAC "MiG" hold at MAKS-2017 negotiations with potential customers the latest MiG-35. This was announced on Tuesday, CEO Ilya Tarasenko. "Getting in the framework of MAKS-2017 to conduct intensive negotiations with our potential customers", - he said, adding that a number of customers "had already expressed an interest (in the plane - TASS approx.)." Tarasenko did not specify exactly who is interested in the MiG-35, but noted that the RAC "MiG" the main markets - "it markets in India, South East Asia, Middle East, Africa and Latin America." Tarasenko said that the MiG-35 can be of interest to customers advanced technical features, including the means of destruction, as well as its cost, which is 20-25% lower than the price of machines from competitors. Russian Aircraft Corporation "MiG" is ready to make the deck of the latest version of the MiG-35, said Tarasenko. "We are ready to make the adaptation of our aircraft under the ship's functions How is expressing the desire, we are ready to make such a version. ", - he said at the MAKS-2017. MiG-35 - the newest Russian multipurpose fighter of 4 ++ generation, which is a further development of the MiG-29K / KUB and MiG-29M / M2. Flight tests of the MiG-35 began on January 26, January 27, Moscow hosted an international presentation of the aircraft. Earlier it was reported that the Defense Ministry has ordered two aircraft with delivery from 2017 to 2018. SIC "The Institute of N.E. 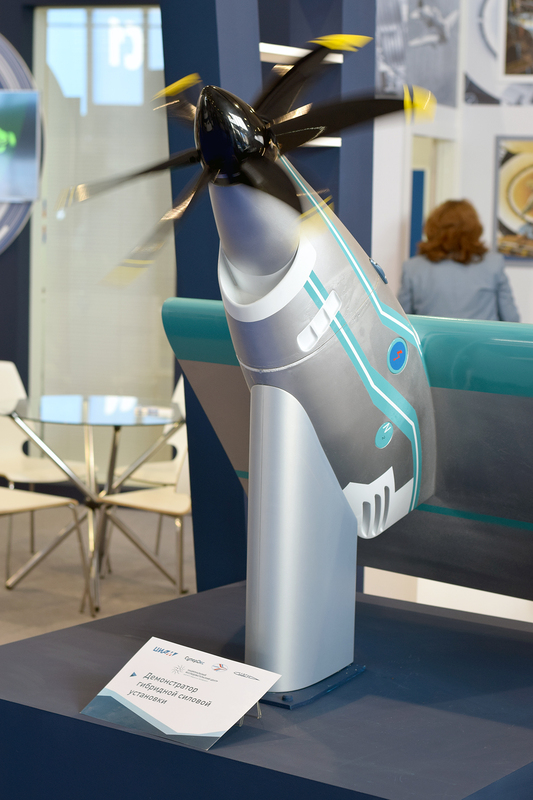 Zhukovsky "and the research institutes of the aviation industry that are part of it presented at the International Aviation and Space Salon MAKS-2017 a prototype of a hybrid electric power plant. 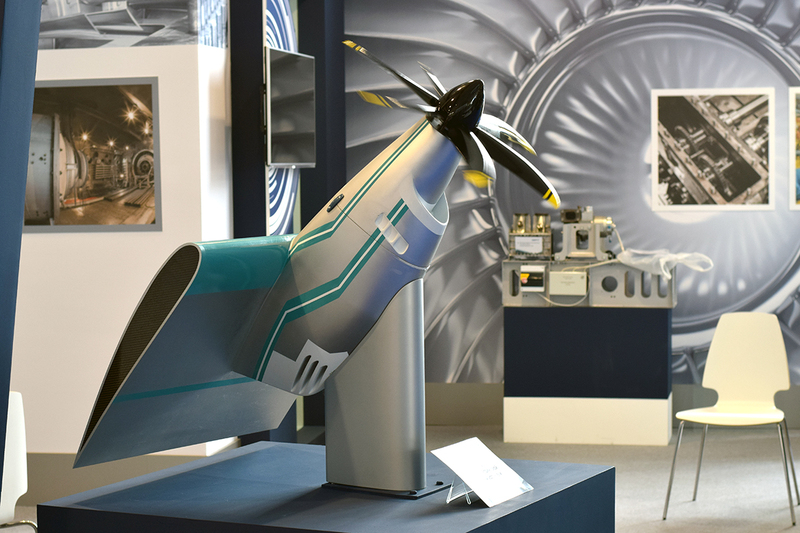 This installation is created within the framework of the formation of the advanced scientific and technical reserve for the development of a perspective fully electric aircraft. Its main feature is the use of electrical equipment (electric motor, generator, tires, etc. ), which uses the effect of high-temperature superconductivity. Note bmpd. The overall potential for increasing efficiency from the use of traditional technologies in aircraft construction by 2030 will not exceed 35-40% of today's level. It is known that now every new technological product differs from its predecessor by no more than 3-5%, with an immeasurable amount of investment. To a certain extent, in the aircraft industry for aircraft engines and aerodynamics, a ceiling has been reached in technological development. We should expect a jump comparable to the transition from helical to jet aircraft. And airplanes on electromotive can become one of the most probable directions of a breakthrough. Russia's new lightweight fighter of the fifth generation will rise up in the air until 2025. This was stated by Russian Deputy Prime Minister Dmitry Rogozin at MAKS-2017. - the aircraft will have to fly in and received within the arms program is now under discussion. Future weapons program involves the creation of such an aircraft, the beginning of his trials and flight manual, - quoted by RIA Novosti Dmitriya Rogozina. The Vice Premier also said that the fighter will fly by the end of the action of the state program of armaments program, which runs until 2025. Most likely it is a plane that will be created "MiG" company in the design office. Earlier this Dmitry Rogozin said at the international presentation of the latest MiG-35 in Lukhovitsy near Moscow. - Development of OKB "Dry" fifth-generation fighter PAK FA pass state tests. Corporation "MiG" will also do light fighter of the fifth generation, - said Deputy Prime Minister. Perhaps lightweight fighter of the fifth generation will be an upgraded version of the MiG-35, which belongs to the class of aircraft - 4 ++. Due engines have to cope thrust vectoring he has super maneuverability. The widespread use of composite materials in the airframe reduced radar signature fighter several times. New avionics made MiG-35 multi-functional, it can be used any prospective weapons - including laser. The number of points of suspension arms is increased to eight and a half times increased flight range. It should be noted that since the Soviet era concern "Dry" creates a heavy fighters gaining dominance in the air and "MiG" - light and maneuverable machine of the front cover. Now videoconferencing Russian arms are various modifications of the Su-27, Su-30, Su-35, MiG-29 and the high-altitude supersonic interceptor MiG-31. As the "Kommersant", the Ministry of Defense of the Russian Federation and the Russian Aircraft Corporation (RAC) MiG agreed number of new multi-role fighters MiG-35, which will be procured under the state armaments program for 2018-2025 years. 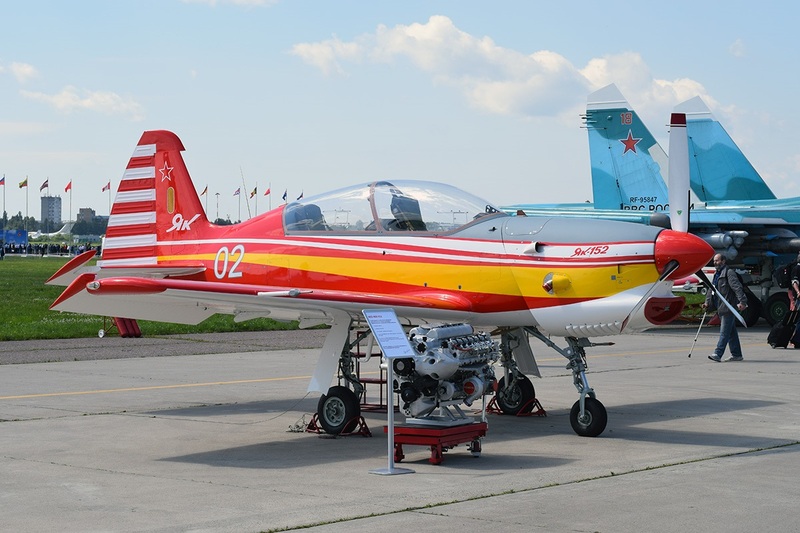 The military will get 24 machines, of which six will depart aerobatic team "Swifts". Signing of the contract, not only load power corporation, but will actively promote products to foreign customers. Negotiate the purchase of fighters who are not armed with the producing country, it is now virtually impossible. The fact that the Ministry of Defense, MiG and United Aircraft Corporation (UAC) have decided on the number of acquired MiG-35, "Y" told the two top managers of companies of the aviation industry and the military source confirmed. 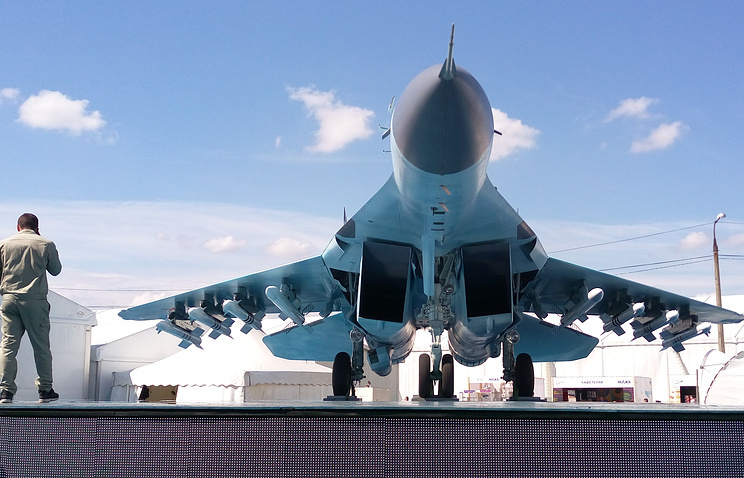 Deputy Defense Minister for Armaments Yuri Borisov confirmed the "Y" at the aerospace show MAKS-2017, that the purchase of MiG-35 appears in the new state armaments program, designed for 2018-2025 years, but to call the exact number was not. OAK president Yuri Slusar, answering the question "Kommersant" about the number of MiG-35, scheduled as part of the first batch of procurement, said: "As long as more than two dozen." A senior source "b" in the government explained that the project of the state program until we study in the White House and at the end it will be forwarded for approval to the president, but principally the fate of the MiG-35 has been solved, "it comes to purchasing 24 machines." Defense wants to get hypersonic "air attack"
Zhukovsky (Moscow Region), July 18 - RIA Novosti. Russia intends to 2020-2022 years to obtain a series of hypersonic "aircraft weapons," said the deputy head of the Ministry of Defense Yury Borisov. "We are going at the turn of the year 2020-2022 ready in a series of articles and a number of airborne weapons, which will work exactly at hypersonic speeds", - he said Borisov told reporters. According to him, the most valuable is to achieve hypersonic not missiles, and ramjet engine. "We are evaluating technological advance in this field, we do not see that we are far behind, and are roughly on par with the leading countries, who work in this field", - said Borisov. "Today just started to fly the MS-21, and has been in operation SSJ (SSJ100 -. Ed), but we are already thinking about new versions seems to us the most interesting MS-21-400 to 240 passengers." - Rogozin said on the sidelines of the air show MAKS -2017. Zhukovsky (Moscow Region), July 18 - RIA Novosti. Russia's Defense Ministry is planning in 2020 to buy about 15 medium multi-role Mi-38, told reporters on Tuesday, Deputy Minister Yuri Borisov. "This car, of course, we are interested We have provided up to 2020 about purchase of 15 Mi-38. ", - he said. Zhukovsky (Moscow Region), July 18 - RIA Novosti. Defense Ministry plans to buy about 50 modernized Tu-160, serial production will start from 2021, said the deputy head of the Ministry of Defense Yury Borisov. "The beginning of 2018 - the first airplane flight in a new guise, with the 2021 serial production for 3-4 aircraft per year we are going to buy about 50 airplanes of this mark. ", - he said Borisov told reporters. "We are too, there are different lasers are -. According to the method of application, in range of objects against which they are applied," - said Borisov. He also said that Russia hopes to get a number of years 2020-2022 hypersonic "aircraft weapons." "We are going at the turn of the year 2020-2022 in the series to receive a number of products and aircraft weapons, which will work exactly at hypersonic speeds," - said Borisov at a press conference. According to him, our country is in step with the global process. "We are evaluating technological advance in this field, we do not see that we are far behind, and are roughly on par with the leading countries, who work in this field", - said the deputy minister. The representative of the military department also said that the Defense Ministry is negotiating with the aircraft industry to create a plane with vertical takeoff and landing aircraft carrier for the future. "To date, the basis for aircraft carriers, in particular, the" Admiral Kuznetsov "is the Su-33 and MiG-29 The remote plans of the Ministry of Defense, at the finish of the state program of armaments 2018-2025 years -. The beginning of the construction of a new aircraft carrier to that. time approach and a new generation of aviation technology ", - said Borisov. "This development" Yakovskoy "line which was discontinued Such plans are, we discuss them, including, perhaps, these areas will be implemented for the future of the aircraft for aircraft carriers. ", - he added. In the earlier term - the purchase of the Russian army lung MiG-35 fighters. This process will begin in 2018. "We have completed development work with MiG We hope that starting from 2018, we will implement the purchase of this fighter. ", - he said Borisov told reporters. The exposition of the MAKS-2017 International Aerospace Show that opened in Moscow on July 18, 2017, among other things, presents the second flight prototype of the Yak-152 training aircraft at the Irkutsk aviation plant of the PJSC "Irkut Corporation" .The aircraft with the onboard number " 02 "(serial number 0002) in bright colorful colors was delivered to Zhukovsky for demonstration in the ground exposition and has not yet begun flight tests. 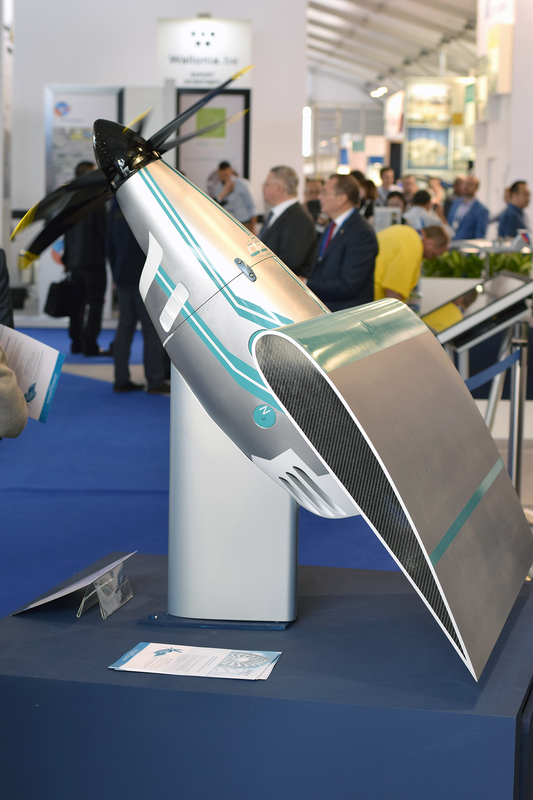 The group "Kronstadt" presented to the MAKS-2017 unmanned aerial vehicle "Orion-E"
On the bmpd side, we recall that the company "Kronstadt", part of AFK "Sistema" (called Transas until 2015), is engaged in the creation of the Orion UAV in the framework of the development work (ROC) "Inohodets". The created UAV belongs to the class of medium-altitude apparatus of long flight duration. It is assumed that the maximum flight duration will be at least 24 hours, and the ceiling - about 8000 meters. In October 2011, the Russian Ministry of Defense entered into a contract with the Transas company for the development of the "Inohodets" experimental design for the creation of a reconnaissance UAV with a mass of about 1 ton. In 2015, at MAKS-2015, the former president of the Transas group of companies Nikolai Lebedev said that the actual takeoff weight of the Orion UAV is 1,200 kilograms, the payload weight is 300 kilograms. According to the known data, the flight tests of the first prototype UAV "Orion" were launched in the spring of 2016. It is known that in the summer and autumn of 2016 the prototype apparatus was tested at the aerodrome of the Flight Research Institute named after M.M. Gromov in the Zhukovsky. Is this the actual uav or that miniature version that was shown before? Amazing Su-35 display in embedded video. Not sure how an incoming AAM would track that.